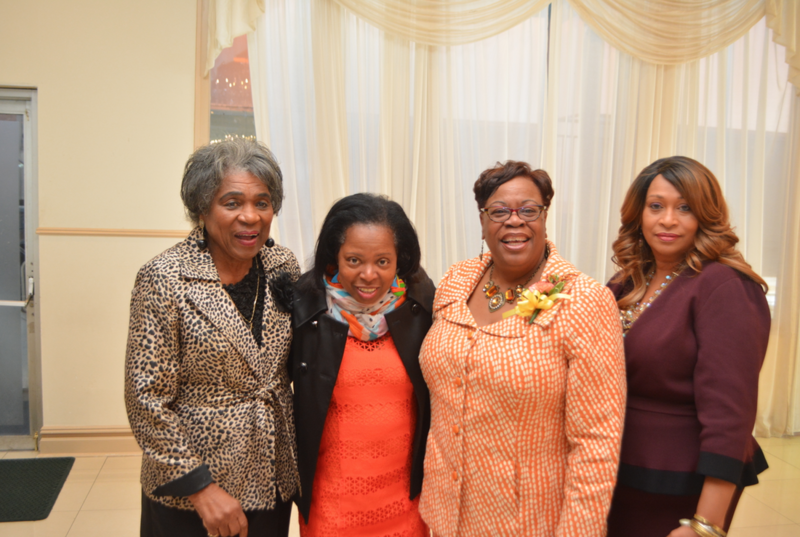 The highly prestigious Greentree Country Club in New Rochelle was the site of the Mount Vernon Day Care 125th Anniversary, on Saturday, October 28, on a picture perfect day. 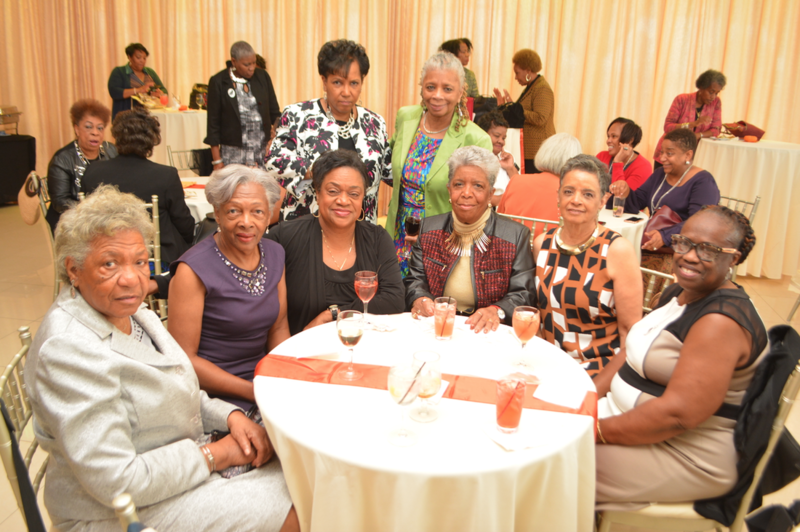 As the attendees arrived and walked into the splendid country club, they immediately sensed they were attending an historic and memorable event. After checking in, the guests immediately started mingling with each other during the cocktail hour and the chatter was relentless up until the start of the program. The program commenced with comments from the president, Vivien Salmon. Next to the podium was Mary Harris, who after brief comments introduced the Mistress of Ceremonies, Marlene Furtick. The Rev. Dr. Darren M. Morton, who is also the Mount Vernon Recreation Commissioner, provided the invocation. After the singing of Lift Every Voice and Sing, Mayor Richard Thomas was introduced to the very large audience and his remarks drew a long applause. 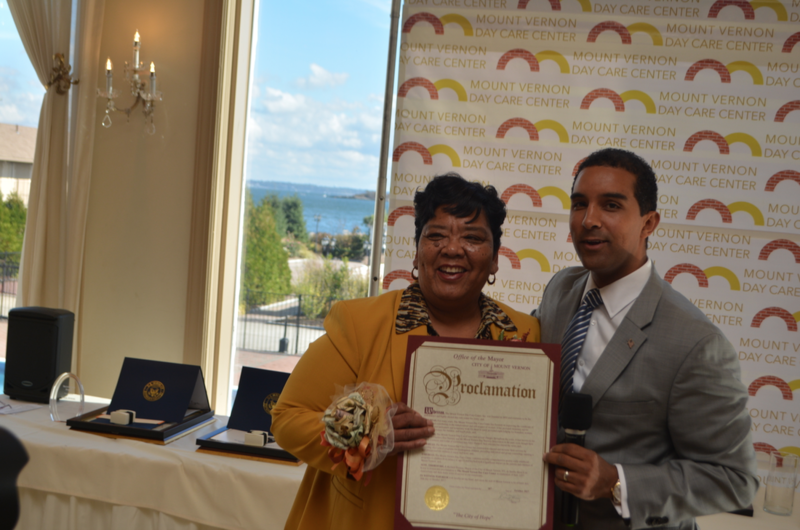 He next presented Iglehart with a proclamation on behalf of the City of Mount Vernon. Next, Sonya McClendon provided a touching vocal solo, followed by remarks from City Councilwoman Roberta Apuzzo and Councilman Marcus Griffith. Next on the agenda was a service award presented to Ellen Farrar by Iglehart. 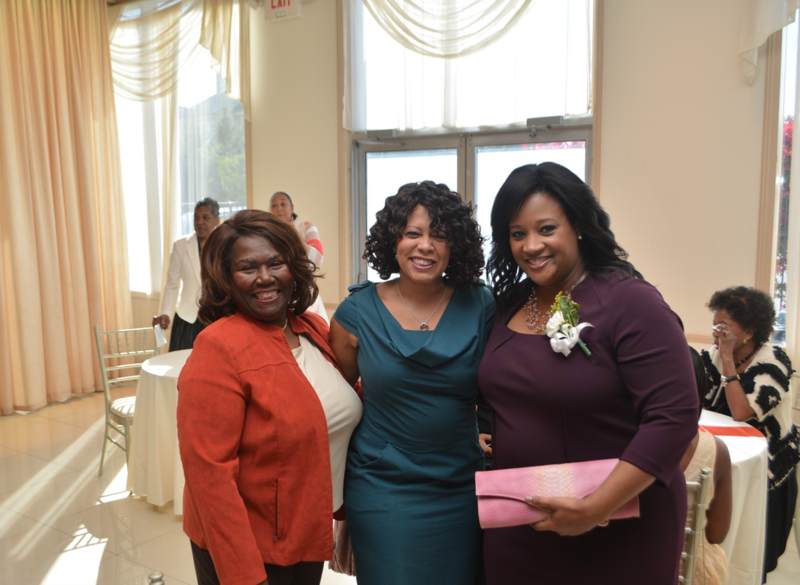 Although it was a long program, it moved along very quickly, as the guests anxiously awaited the presentation of awards to the honorees. 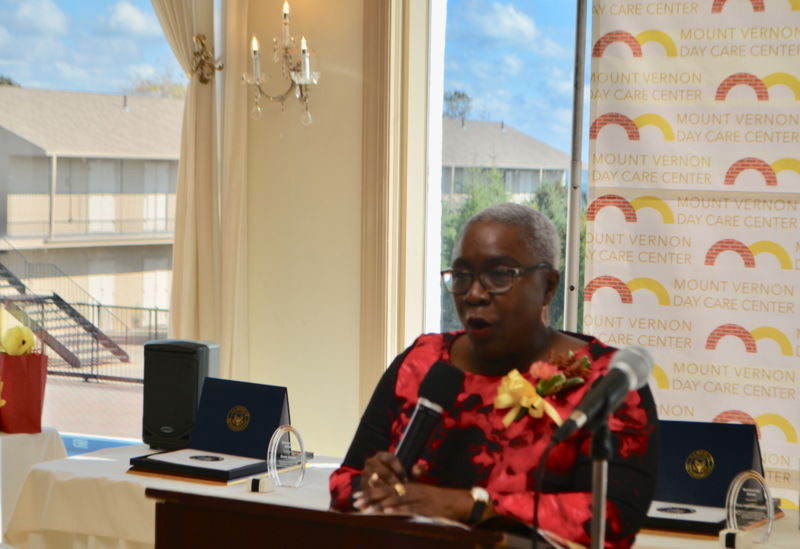 Prior to lunch being served, Carol Blakney introduced three of the honorees and each one received multiple awards and spoke. 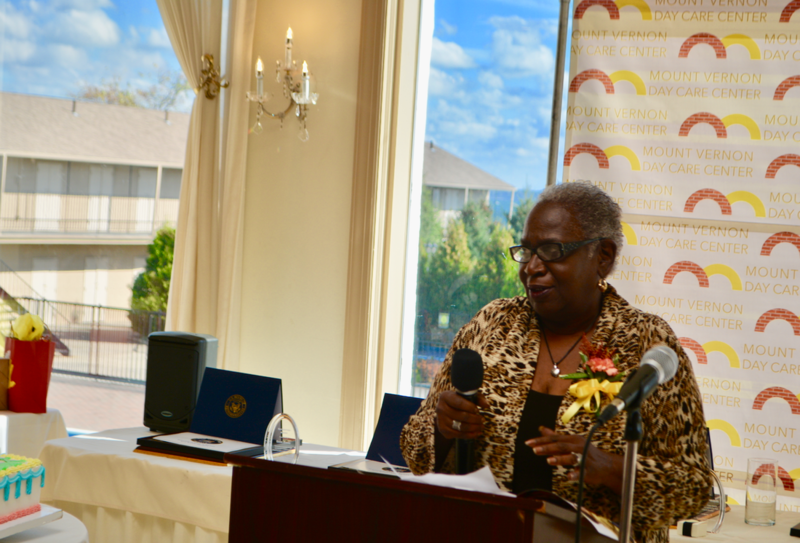 After lunch, Monica L. Whiting-Hogans presented awards to the remaining three honorees. Prior to the ceremony ending, a 50-50 raffle was held, followed by closing remarks by Iglehart.